Peter Leonard Marine was founded in 1970 by Peter H.J. Leonard, who now enjoys over 35 years of marine experience and a vast knowledge of most marine systems. Peter, his son and his wife Maureen have worked hard to develop a pleasant, picturesque boat yard, which is now capable of accommodating 150 boats on land and water. 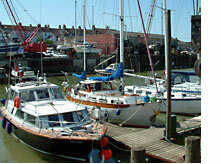 At the end of 2002, Peter Leonard acquired 'the old dairy' situated behind the existing boat yard. This has allowed a large expansion in both the workshop facilities and to the chandlery side of the business and also a larger office. 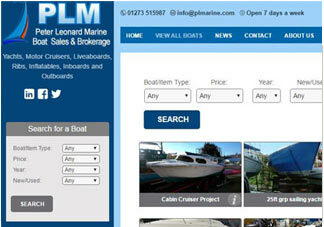 In 2007, Peter Leonard Marine started a brokerage department for the sale of quality used boats. 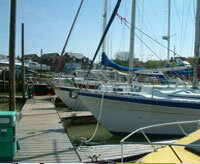 They often have boats ranging from £500 - £35,000 for sale. Click here to see our current brokerage listing. Peter Leonard marine are full members of the British Marine Federation and are very proud to have been accepted into the Yacht Harbour Association. This is a very prestigious association, and, as a result will be upgrading our mooring facilities throughout the coming year and will also be adding berth-holder's showers, refurbished toilets and a launderette.